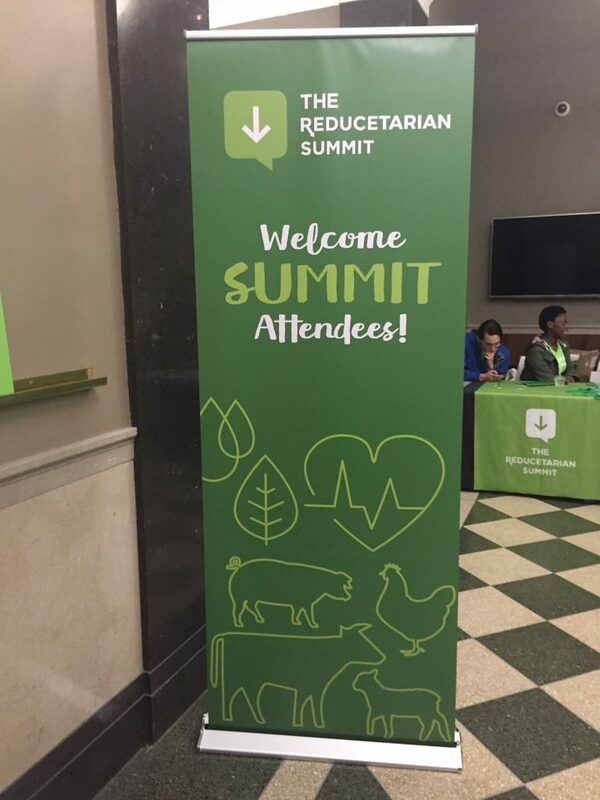 Last month I went to the very first Reducetarian Summit in NY. I was excited to go and meet the founder, Brian Kateman and others who also have a pragmatic approach. Seeing Tobias Leenaert, the Vegan Strategist again was an added bonus as well. I was able to make it a time to visit my aunt and all of my cousins (except one) and their families too. 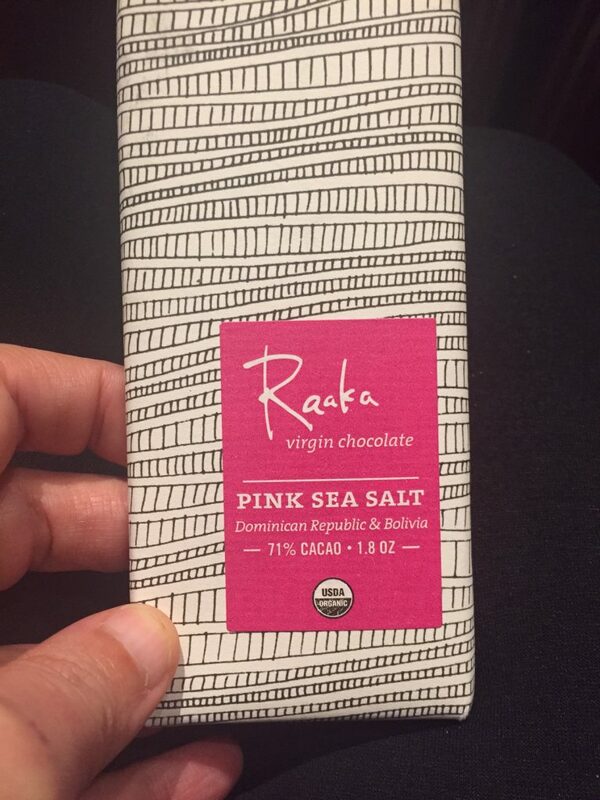 I’ve been to a fair amount of conferences, and was impressed with the quality of this one. 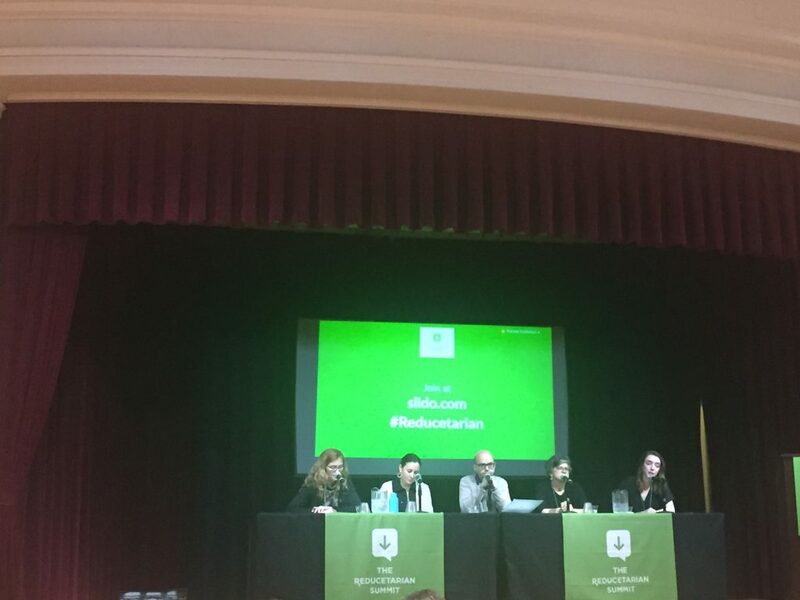 Everything was very organized with well-moderated panels of great speakers, perfect location at NYU across from a park in Soho, good use of technology for online questions to be submitted (cutting out all the long-winded types), nice swag book which included Brian’s new book, delicious vegan snacks and food. And best of all: unlimited very decent coffee. As a designer, I also appreciated the graphics which were bright, fun and memorable. 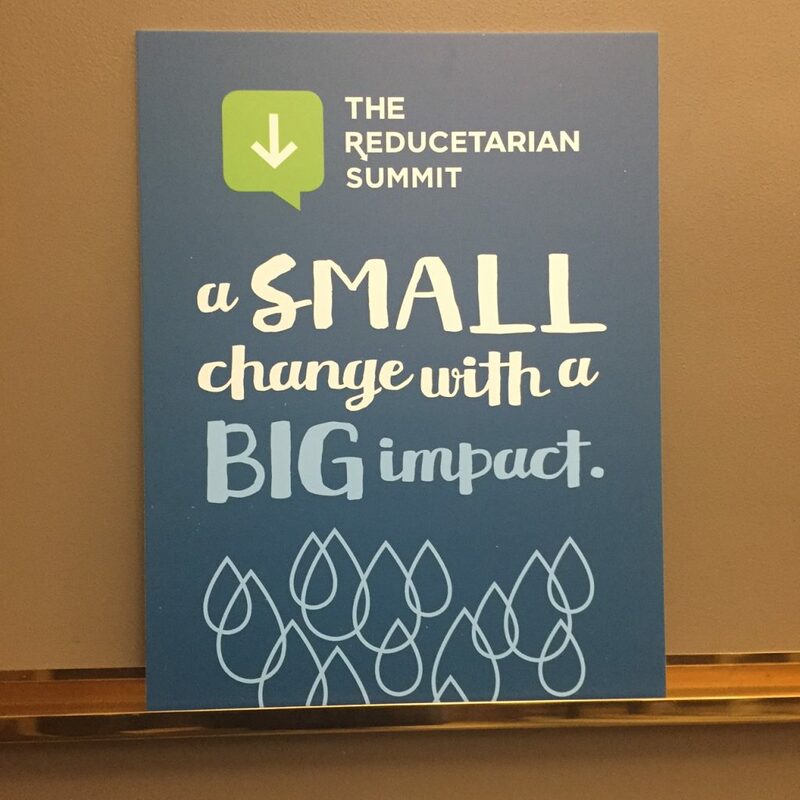 The people attending were a wide range from all different areas- environmental, food innovation, nutrition and health, animal rights, and social justice. They ranged from students and individuals to those from larger organizations like the Humane Society, OxFam and Rainforest Action Network. It felt professional and non-judgmental. We came from many different areas, and not all vegan, but everyone shared the common goal of working together to change our food system. 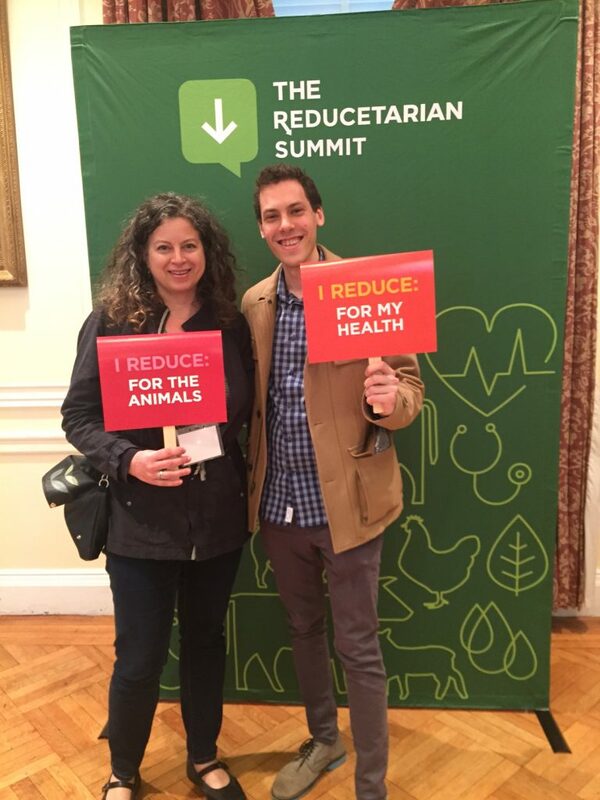 There was a photo booth set up where you could hold up a sign as far as why you reduce: for animals, the environment or health (or all three). Brian was extremely nice and welcoming. As I was attending on my own, knowing only one other person there, I found the group to be less cliquish than some that have a more narrow focus. I met a lot of interesting people during the breaks and at a social evening Saturday night. I love the inclusive message that we can all do something, no matter where we are. I would love to come to the next one, and I am happy to see that they have posted all the videos on their website if you would like to see some of the topics and watch those yourself. The only changes I would make would be to have it during the week so that I could have selfishly had my weekend to explore New York, try more vegan restaurants and spend more time with family!